世界のミルクを日本へ☆USA発☆Milk for Japan We have delivered to "PEACE JAM". We have delivered to "PEACE JAM". and uncle of MFJ leader. The motto of PEACE JAM Kesenuma is “No Hungry Baby”. 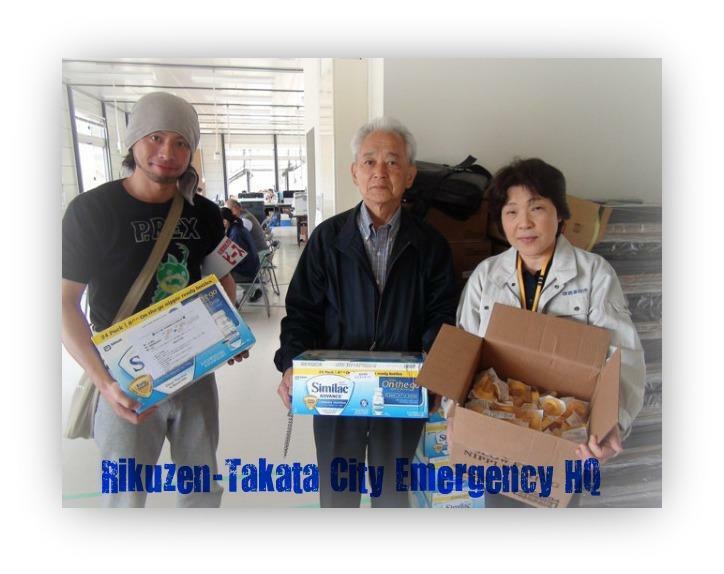 nursing homes, shelters, and city hall in the disaster area. but he lost his restaurant/bar in the tsunami. The whole building, everything but the toilet was washed away. the young parents and babies in the area. Milk For Japan will continue to support the activities of PEACE JAM. Some of our team members wrote up reports on their own blog.